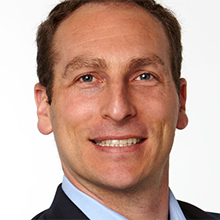 Matt Minoff is the Chief Digital Officer at Meredith Corporation, where he is responsible for the company’s digital strategy, general management, audience development and digital advertising products and technology. Matt joined Meredith Digital with the acquisition of Selectable Media in January 2014, where he served as CEO. Before joining Selectable Media, Matt was an investment banker at Allen & Company, where he worked on capital raises and mergers and acquisitions. Prior to Allen & Company, he played professional basketball in Israel and founded the Middle East branch of PeacePlayers International. Matt holds a Bachelor of Arts in Economics from Yale University and resides with his family in New York, NY.